June 27, 2013 –Channeler: Ronna Herman – MESSAGES FROM ARCHANGEL MICHAEL * LM-7-2013 – TRANSMITTED THROUGH RONNA HERMAN – VICTIM OR VICTOR? You, the Star Seed, now understand that it is of great value to spend some time in meditation and contemplation, reviewing the structures you have created in your third/fourth-dimensional reality (which includes mental, emotional, physical and even some spiritual restrictions). As you do so, you will expediently determine that it is time to release many of the ties that bind you, so that you may move quickly into the expanded, empowering world of tomorrow. 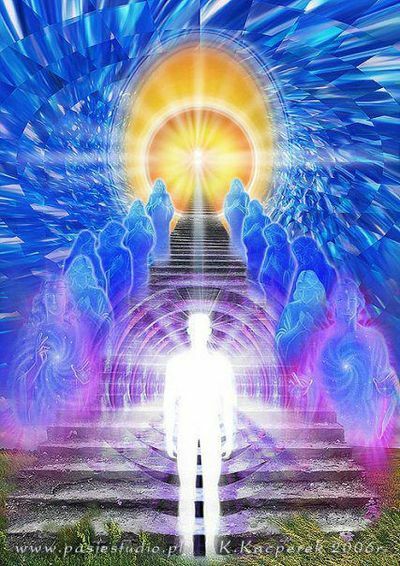 Many brave souls have been victorious in overcoming their lower nature, and are now firmly reconnected with their personal Pillar of Light as they steadily tread the Path of Ascension. It is a grand opportunity to reclaim your Trinity of Consciousness (your refined mental, emotional and spiritual natures). It is our greatest desire that you will choose the high road, for you are being presented with a golden opportunity that has never before been offered to humanity–an opportunity which will not be offered again for a very long time. One of the most important exercises you can perform in order to become a sovereign Being once more is the BREAKING AGREEMENTS meditation that we gave our messenger many years ago. We are reminding you of this important process once again, so that you may forever free yourselves of the “karmic probable futures” you have created with others down through the many past ages. Breaking agreements when you are in a Self-conscious or conscious-of-Self, Alpha State helps you to eliminate self-defeating restrictive suggestions more quickly and thoroughly. We are asking you not to lay blame, but as a Self-master becoming to rise above the conflict and the hurt, and objectively endeavor to understand the difficult lessons that you have experienced with others. Your karmic partners and lessons were always chosen by you and the other person before you incarnated into this lifetime. It is extremely important that you understand this fact. Over many past ages, you have sent out energy time lines that have created probable futures, promising such things as: “I will love you forever.” “I will hate you forever.” “I will take care of you forever,” and so on. In order to become a sovereign Being once more, you must take back your own energy and give back other people their energy, so that you may continue on your path as masters of your own destiny. In this way, you will no longer have your lessons mirrored back to you by others. Through conscious awareness, you will understand what each person you interact with and each occurrence has to teach you so that you may gain the wisdom from the action and not have to experience it in the old, often painful, cause and effect manner. If you haven’t already done so, we suggest you go through this exercise with each and every person with whom you have ever had conflict or stressful learning situations. It is time to fully open your Sacred Heart center, both the front and back portals, so that the Creator Light can flow into you and through you. This will allow your THREE-FOLD FLAME within your Solar Power Center to blaze forth as it was designed to do. This will also allow the refined Creator Light, Adamantine Particles, to flow into your Sacred Heart center and throughout your physical vessel, and the remainder to radiate forth out into the world of form. This is your ultimate goal. BREAKING AGREEMENTS MEDITATION: Go into your work pyramid and be seated at the head of the table. Invite your Higher Self and your angelic guides to stand behind you. There is a Violet Flame burning beneath the table and the double-terminated crystal hanging over the table is sweeping waves of Light throughout the room. Envision any cords that are attached from the other person’s solar plexus to your solar plexus. See my blazing sword slicing through those energy cords, and watch as your energy cords gradually return to your solar plexus center, and the other person’s energy cords return to them. In addition to the above exercise, it is important that you go into your personal pyramid and lie on your crystal table. Ask your Higher Self to scan your body to determine if there are any etheric tears in your auric field, front or back. The most common etheric tears are in the three lower chakra area which leave you susceptible to security/scarcity issues, ego desire body / sexual issues/compulsive behavior, and so on. The other most prevalent area is across the heart from one shoulder down to the lower rib cage, either in front or in back. You have placed etheric shields around your heart for protection or etheric tears have been created when you have been betrayed by loved ones, violently killed, or when you suffered great trauma. Some of the symptoms are feeling unloved, a sense of unworthiness, guilt, self-hatred or pain, anguish or tightness in the heart area from grief or a sense of loss. If you determine that there are any etheric tears in your auric field, all you have to do is say, “I ask that now and for all time any and all etheric tears be healed,” and it will be done. I will seal them with my blazing Sword of Light, and your auric field will once again be seamless and whole. It is time to heal and rise above that which you chose as your tests and challenges for this lifetime, dear hearts. Reach upward and inward for your majestic Divine Self. We can and will assist you; however, it must be a partnership endeavor. There are miracles in store for you, beloveds, and the greatest of these is that your perfection awaits you. May the radiance of the Creator shine down upon you. You are loved beyond measure. I AM Archangel Michael.